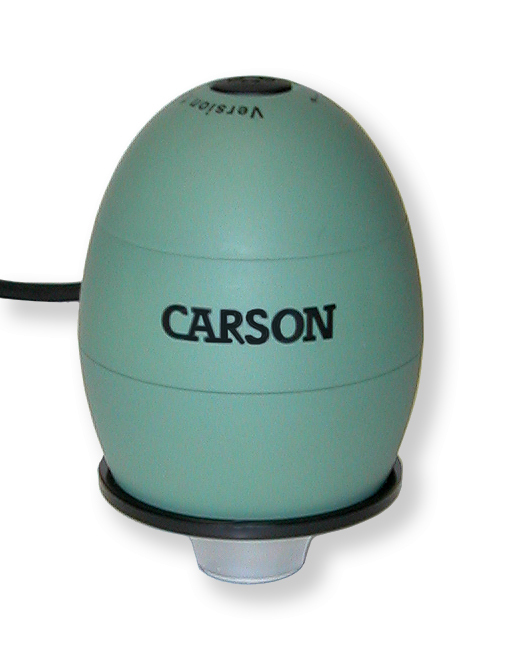 Carson MM-480G zOrb is a Digital Microscope with an Integrated Camera that displays the magnified image right on your computer screen. The impressive 35x Magnification (14" monitor) allows you to see eetails of ordinary objects you never knew existed. The Built-in Internal Illuminator ensures a clear and bright image. Capture an image to keep using the built-in 640 x 480 Resolution Digital Camera. You can even capture close-focus video with the zOrb. It is compatible with Microsoft Windows 98SE, ME, 2000, XP, XP Service Pack 3 Upgrade, Vista and MAC OSX 10.4 or later. A USB 2.0 port is required.